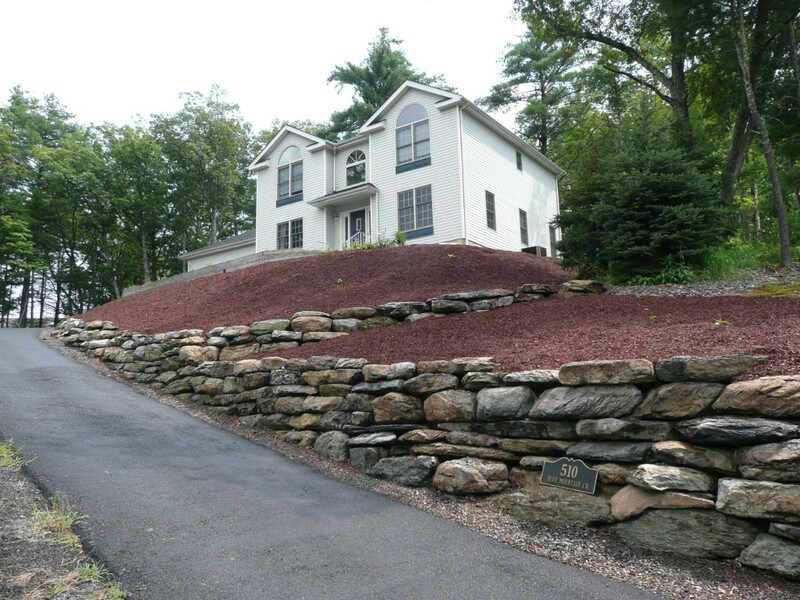 Having difficulty mowing your lawn because of a steep slope? 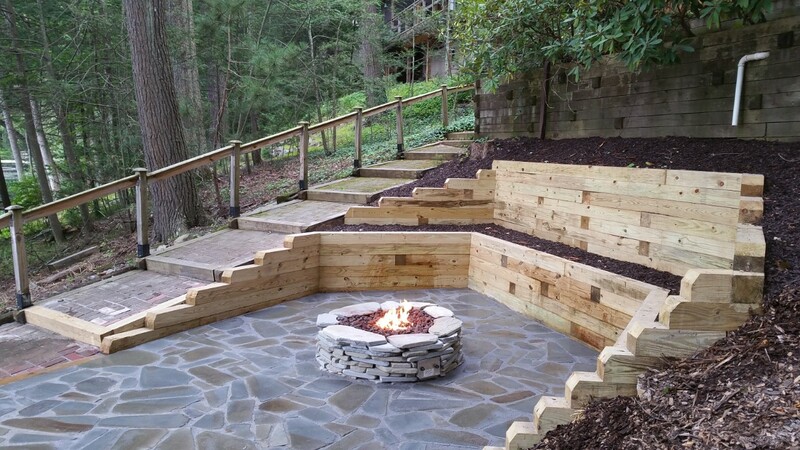 Tired of trekking up a hill to your front steps? Maybe it’s time to consider installing a retaining wall. 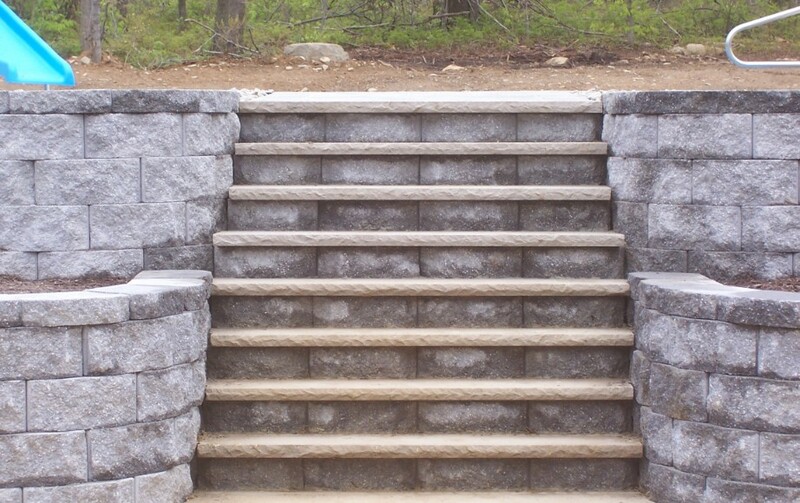 Retaining walls can be constructed with a number of different materials, from large boulders to landscape ties to concrete paver blocks, to complement the style of your home. 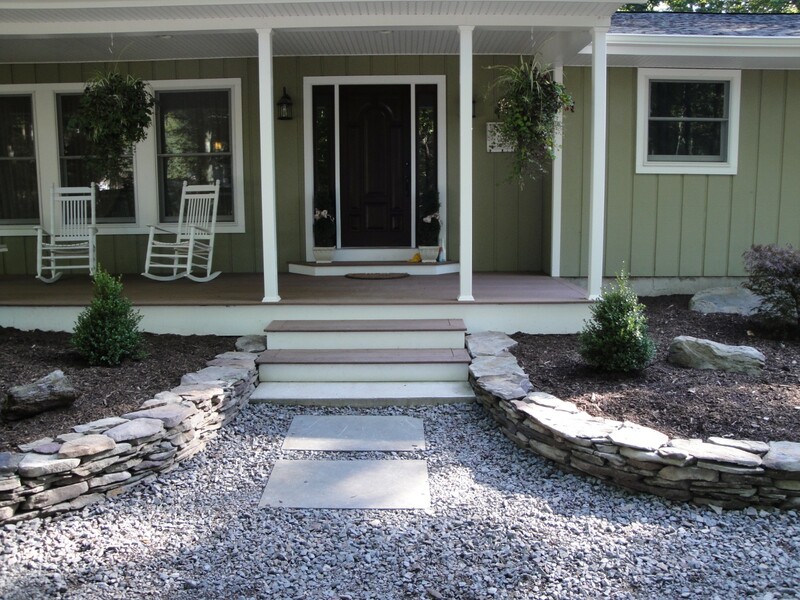 Steps and planter beds can be integrated into the wall to create an eye-catching entryway from a sloped front yard. 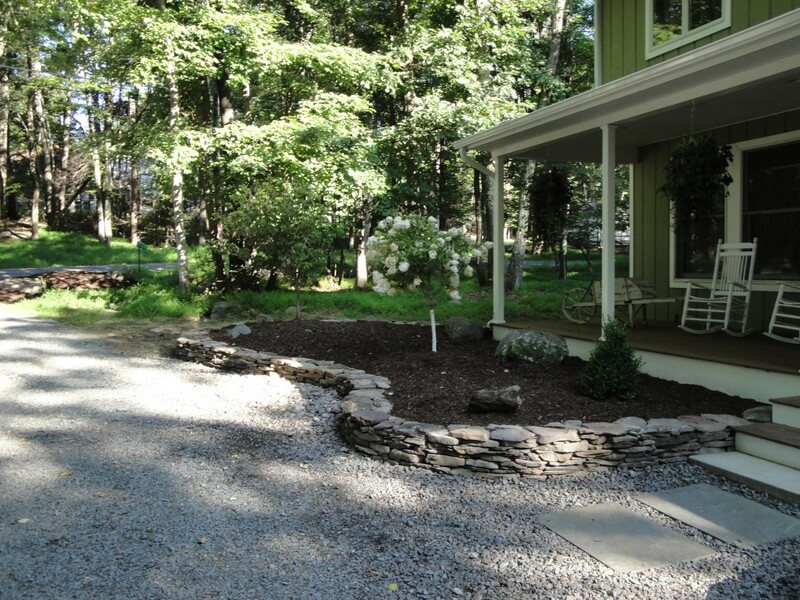 A retaining wall can also be used to create a flat area in a sloped backyard for kids to play and adults to entertain. 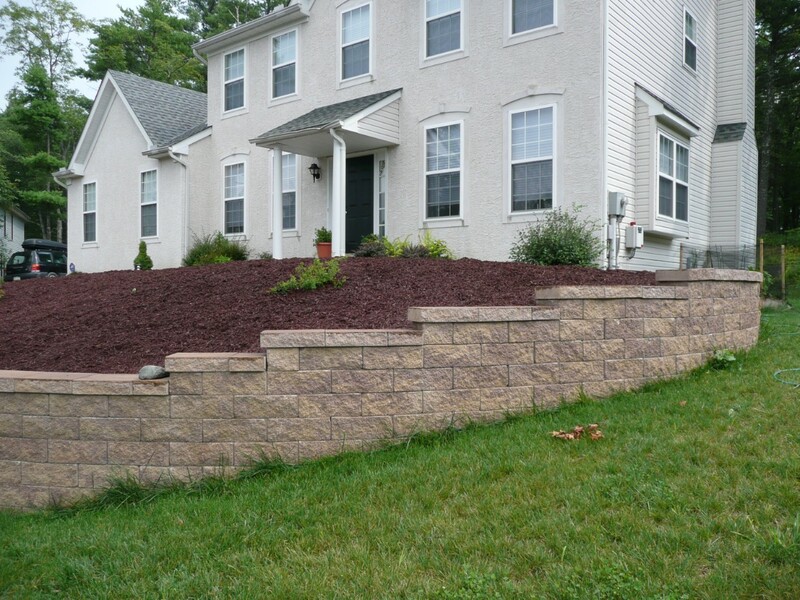 Retaining walls are a big investment. The most important consideration when choosing a contractor to build your wall is choosing someone who will build the wall properly. Walls that are not properly constructed do not last. It is very costly to repair and/or replace a retaining wall so having the proper design, site preparation and construction procedures are crucial. 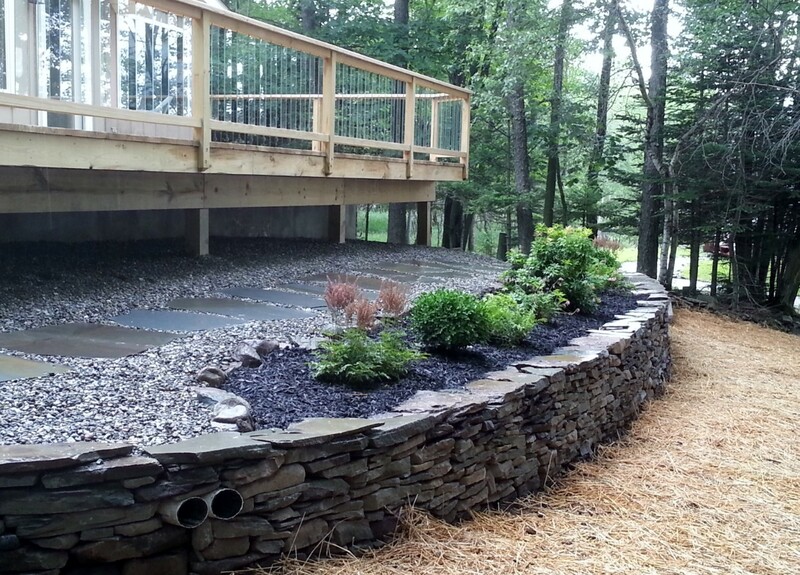 Our company has been building retaining walls throughout the Poconos for over 20 years. We have customers whose walls we built 10 or even 20 years ago that still look great. 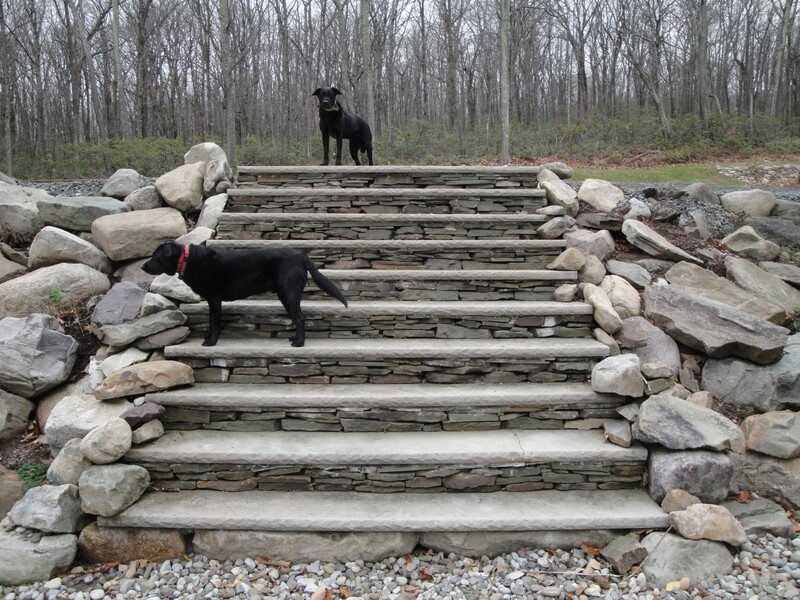 We can provide references and photos of retaining walls that were taken not just on installation day but years later. Our walls stay intact because of our attention to design, site prep and construction techniques. After the wall design has been finalized, the site preparation and construction can begin. Site prep and construction techniques vary depending on the site, the material being used to construct the wall and the size of the wall. 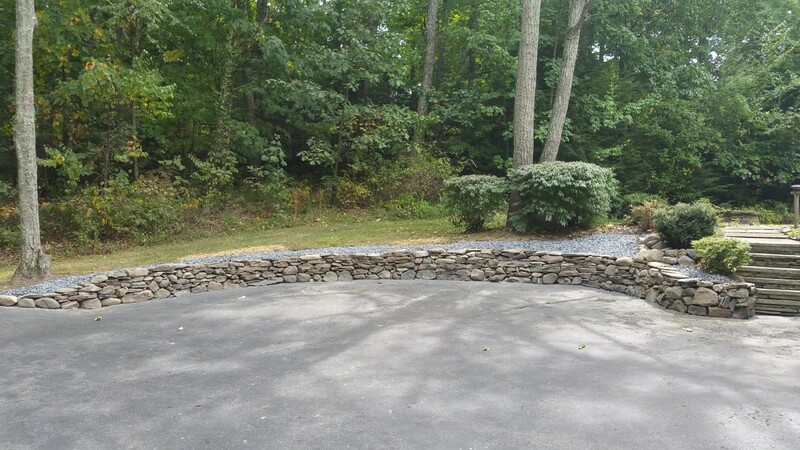 We’ve built walls using boulders, landscape ties (similar to what people used to call “railroad ties”), field stone and concrete paver blocks. The material choice is a combination of customer preference and site suitability. The integrity of the wall is something that we take seriously. 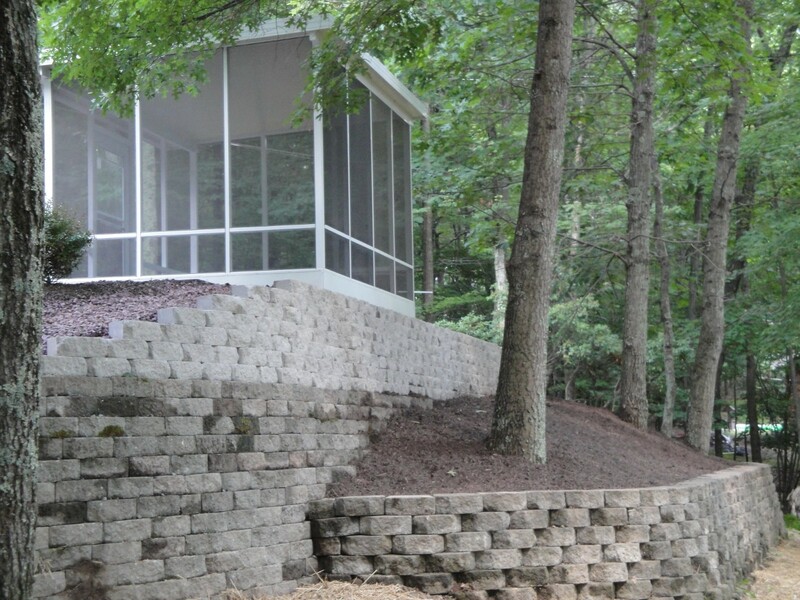 We will take the time to do the site prep and construction professionally and proficiently to ensure that your retaining wall not only looks good but remains intact for many years to come. 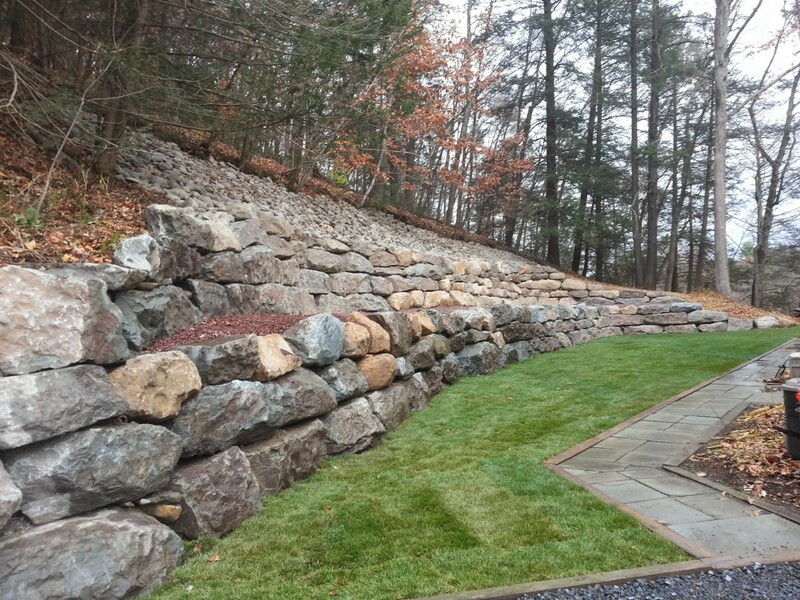 Feel free to contact us at 570-839-1792 to discuss your new retaining wall today.